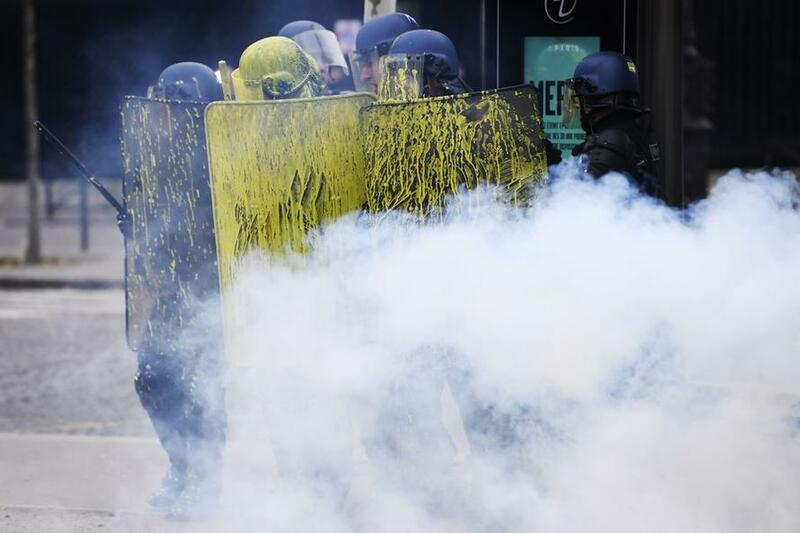 French police deployed tear gas after thousands of "yellow vest" activists converged on the the Champs Élysées for a third week of protests against President Emmanuel Macron and his government. 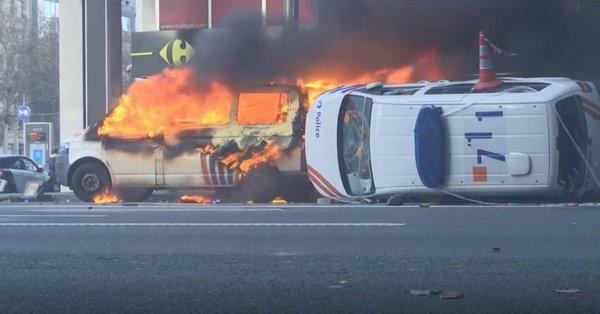 Over 122 arrests have been made. 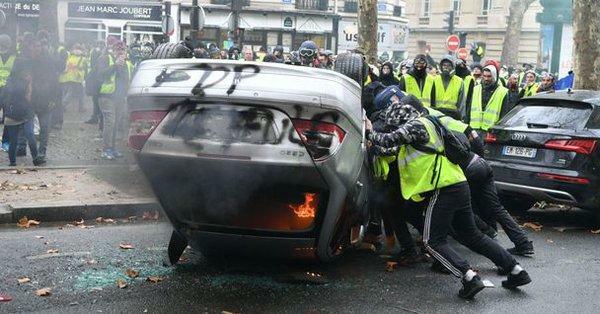 Chanting "On the way to Macron's resignation," the protesters were hit with tear gas as riot police struggled to contain Saturday's violence, which saw cars set on fire, paint thrown on officers, and several injuries. Protesters attempted to breach barricades blocking the path to the presidential palace on Saturday morning; "lighting fires, throwing rocks and spraying police officers with vivid yellow paint." 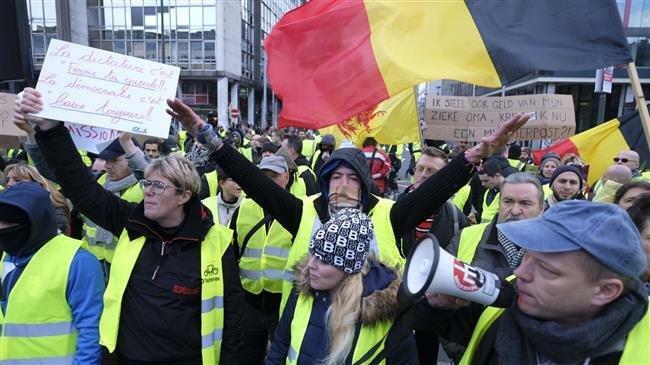 Originally formed to protest rising fuel prices, the "yellow vest" protesters have evolved into a wider demonstration against President Emmanuel Macron's government in recent weeks. 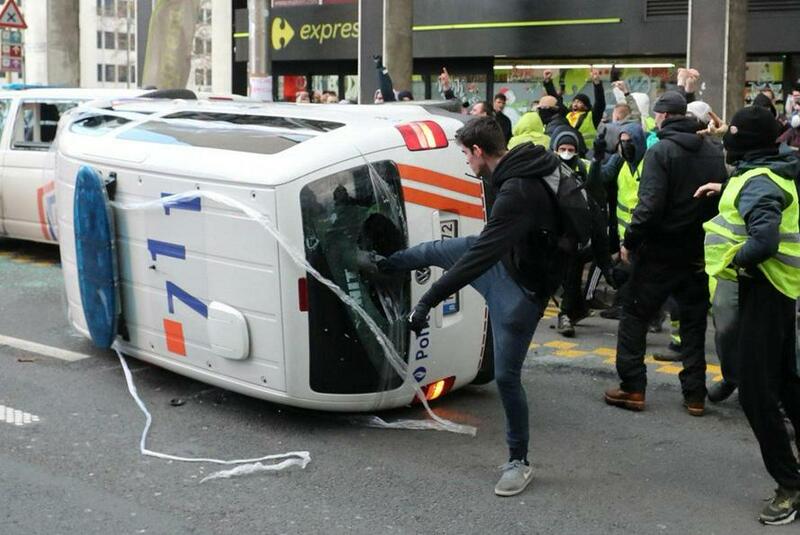 After French interior minister Christophe Castaner initially blamed the "far right" for the protests, the interior ministry has now said the participants are "extreme-right and far-left demonstrators," according to The Guardian.